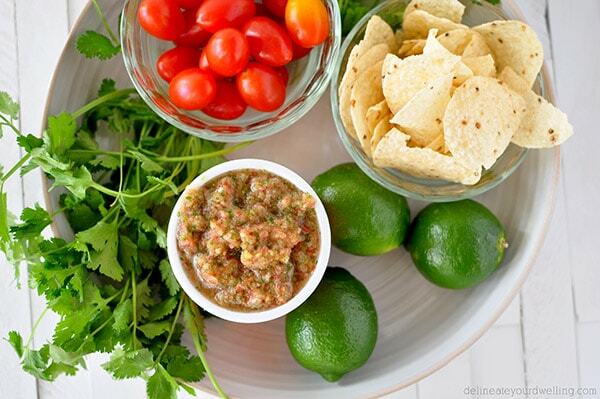 Who doesn’t love Fresh Homemade Salsa? I know whenever our friends gather together, it seems that chips and salsa is always part of the mix. Especially with Cinco De Mayo on the way, this is a great appetizer to have on hand. 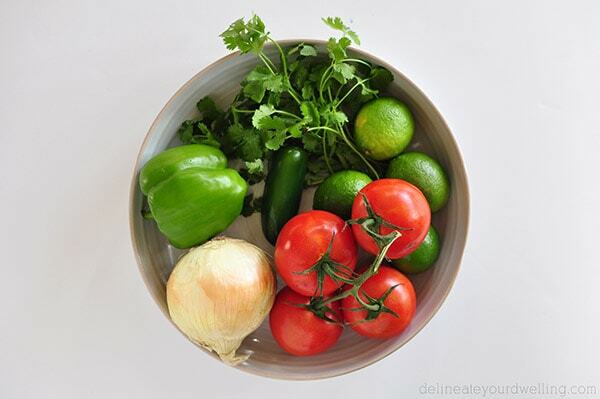 Today I am sharing our deliciously fresh homemade Salsa recipe! 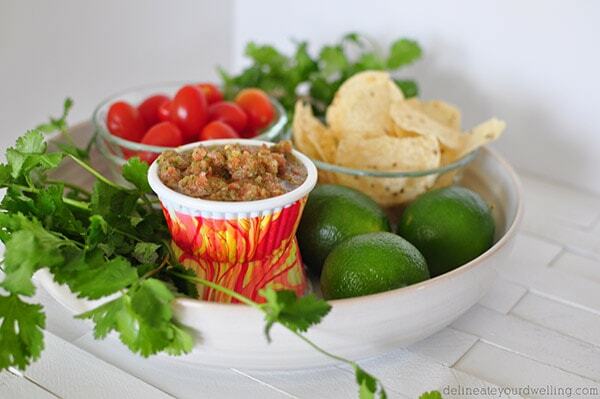 I shared last week how to make the marbled party cups I put my salsa in. Last year, I bought the hubs a *Cuisinart Food Processor and it’s been sitting in the back of our kitchen cabinet for the last 4+ months. 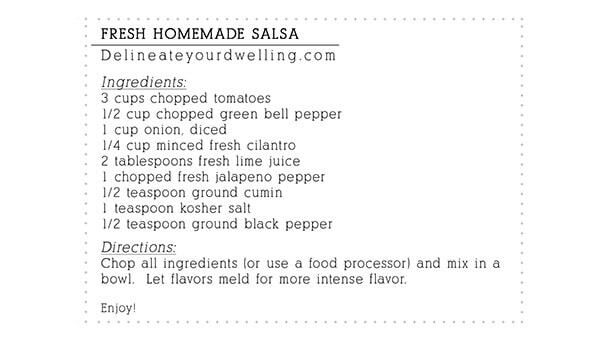 I was so excited to finally be able to use it on this salsa recipe. Typically, I just finely chopped all the veggies with a knife. Living in New Mexico, our grocery stores are stocked full of fun pineapple salsas, corn salsas and salsa verdes. I love to mix it up but I’m always drawn back to the fresh simple ingredients. What is your favorite kind? 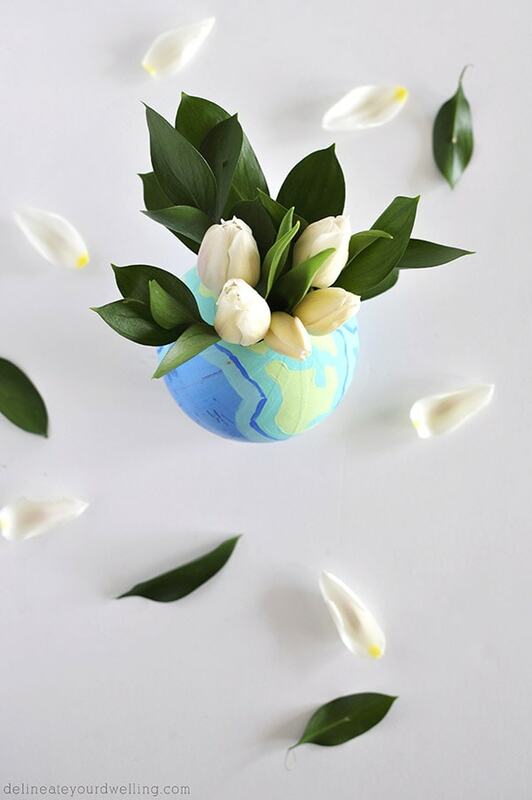 And be sure to hop over to Place of My Taste as I’m sharing my DIY Globe Flower Vase today! 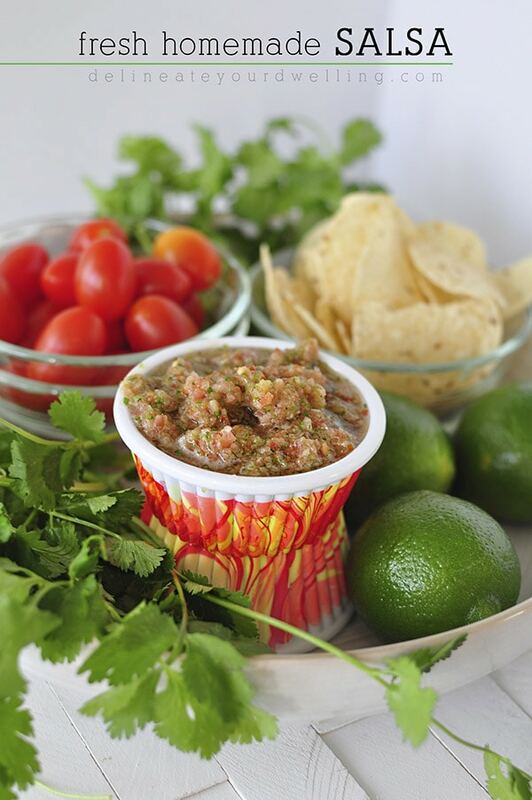 We love fresh salsa! Thanks for sharing at the Inspiration Spotlight party. Always great to see what your up to! Pinned & shared. Have a great rest of your week. Any time, Holly! Thanks for stopping by. Yum! Definitely saving this for when our garden grows in! Yes, I specifically planted things just for salsa!